The world contains 7,400,000,000 humans, but only 880 mountain gorillas. Imagine leaving civilization to study gorillas in the dense rainforests of Rwanda. 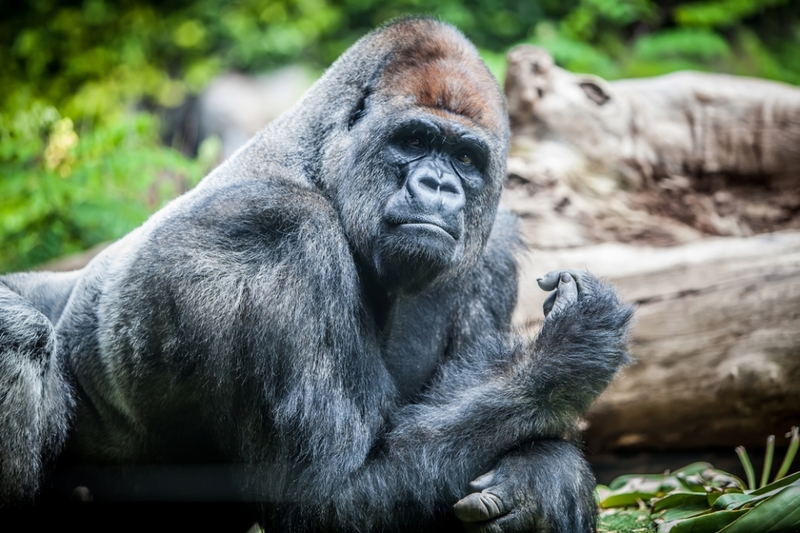 "Despite their huge size and strength, gorillas are the pacifists of the great apes," says primatologist Carl Lindorf. Why are mountain gorillas critically endangered? I've always loved visiting my friend Mugo the gorilla in the zoo, but my appreciation of him deepened when I discovered that he had been orphaned in the wild when poachers killed his mother. The thick black fur across Mugo's massive shoulders is now mottled with gray, his mouth arches in a thoughtful frown, and his golden-brown eyes gaze out with infinite patience on the spectators. Your Turn Try each of these opening strategies for a topic of your own choice. Review the attention-grabbing openers and consider using one to begin an essay about the topic. Capturing Readers' Attention by Thoughtful Learning is licensed under a Creative Commons Attribution-NonCommercial-ShareAlike 4.0 International License. Based on a work at k12.thoughtfullearning.com/minilesson/capturing-readers-attention.